"The clue’s in the name: these lightly textured cotton shirts have a special (Tyrwhitt recipe) wash which makes them feel blissfully soft. 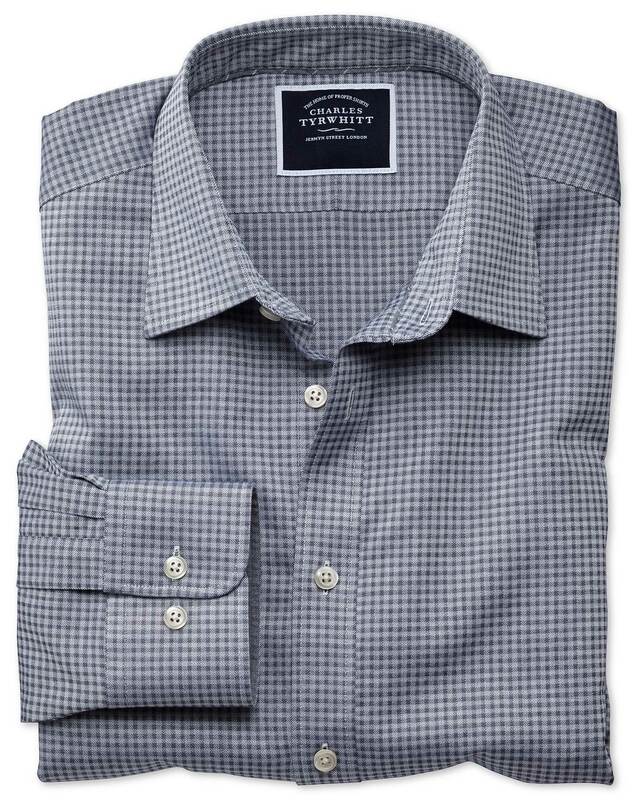 The blue and grey designs are also wonderfully versatile and totally unique to Charles Tyrwhitt, but try as we might, we couldn’t get that across in three words…"
"Your go-to off-duty shirt: soft, relaxed and wonderfully wearable." Response from Charles Tyrwhitt: It is disappointing that you believe your new shirts are not displaying the usual excellent Charles Tyrwhitt quality. We strive for all our items to be of fantastic quality at great value, however, if you are less than satisfied you are more than welcome to return them to us for a refund or exchange within 6-months of purchase. Good all round shirt , comfortable , good fit ,well cut . Just so pleased with the order.